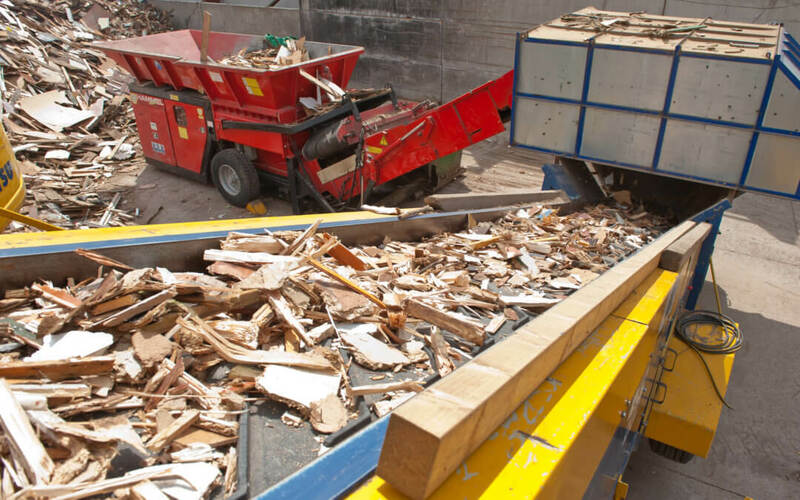 Overall UK exports of waste wood biomass and panel board feedstock dropped by 50 per cent last year compared to 2016, according to the latest statistics produced by the Wood Recyclers’ Association (WRA). The trade body carried out an annual survey of its members which also showed a large increase in the use of waste wood within the UK. The WRA estimates there remains an estimated 5 million tonnes of waste wood available for recycling and recovery in the UK. Of this 3.7 million tonnes is recycled or reprocessed, of which 3.2 million tonnes is by WRA members. The survey showed 1.7 million tonnes went to UK biomass plants in 2017, compared to 1.6 million in 2016. A further 1.7 million tonnes was recycled or reused into products including animal bedding, UK panel board feedstock and landscaping and equestrian surfaces. This was estimated at 1.4 million tonnes in 2016. The remaining 300,000 tonnes was exported as biomass or panel board feedstock. This compared to 600,000 tonnes in 2016. Andy Hill, Chair of the trade body which represents 86 per cent of the waste wood market, said WRA members alone had seen a growth of 38 per cent in UK panel board and a 53 per cent growth in UK biomass, which was good for the economy. However he reiterated a previous warning of potential impending waste wood shortages if recyclers and reprocessors face storage issues over the summer months. “It has been a long winter over 2017-2018,” said Andy. 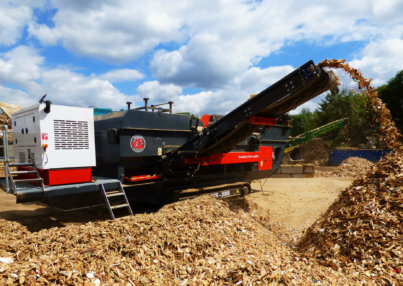 “That has given us a slow start to the year in terms of the volumes of waste wood available. We are predicting that the market will gather pace now over the summer and recyclers will be able to build up their stock levels ready for the peak off-take next winter. Andy said the Environment Agency has recently appointed a new member of staff to look specifically at the granting of Fire Prevention Plans (FPPs) for waste wood and other waste and recycling operators. As well as FPPs, the waste wood market is also awaiting the outcome of a waste wood classification project, which the WRA is leading on with the EA and several other trade and industry bodies. The route by which the material arrives into a wood processor. The research has also shown that waste wood arising from the construction and demolition route may have a higher risk of having potentially hazardous material in its arisings. However, there are also a very small number of items from HWRC sites where further work on sampling and testing is needed.